You are here:Home Japanese Culture 10 Japanese Skin Care Products That Are Healthy for your Skin & Wallet! 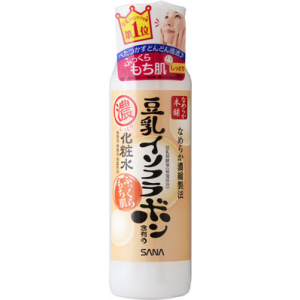 10 Japanese Skin Care Products That Are Healthy for your Skin & Wallet! Many Japanese women have beautiful and youthful skin and are known to take great pride in their daily routines. 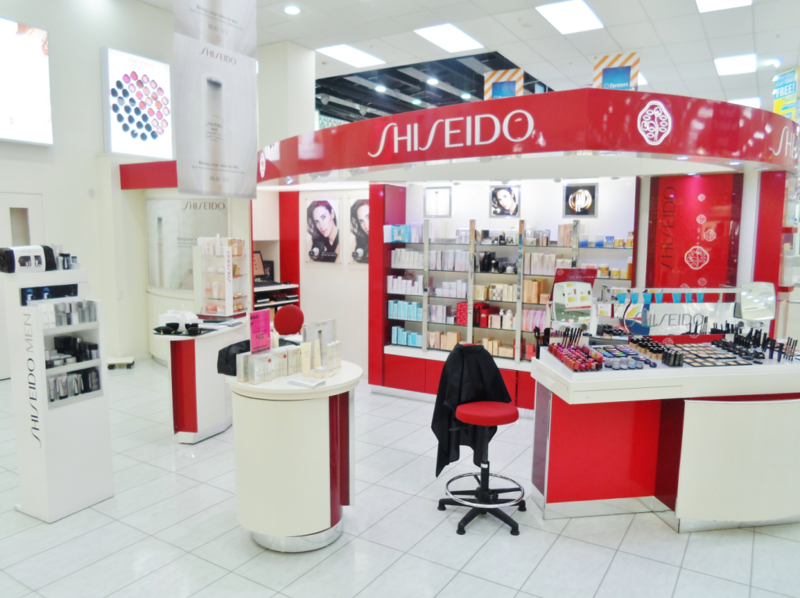 This may seem like it would require a lot of time and money, but you do not actually have to spend a lot on high end cosmetics and skin care here; in Japan there is a huge range of products to help your skin without breaking the bank. Some of them can even be found in local stores, and at a very reasonable price! Of course, makeup removers and cleansers are the key to the ultimate goal of all Japanese skin care secrets: beautiful, radiant skin. Sleeping in your makeup or not thoroughly cleaning residue off your face is known to damage skin and clog pores, which is why it is recommended to find a makeup remover gentle enough for you. Cleansers help remove dirt and oil collected throughout the day on the surface of your skin. There are different kinds of cleansers such as oil, gel, and foam types. Exfoliators help remove dead skin cells and cleanse the pores and skin. Overall, these different types of skin care products can be used hand in hand as a daily regimen to boost healthier, glowing skin. The sheer number of choices you have can be overwhelming, so here is a list of Japanese makeup remover options to help you choose the products that fit your needs. Even among the many Japanese skin care brands, this is currently the most popular exfoliator in Japan. 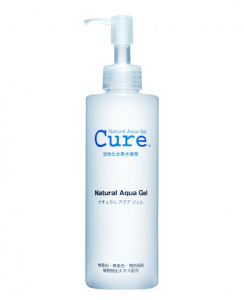 CURE Natural Aqua Gel is water based so it is gentle enough on sensitive skin but works with normal skin as well! Using only natural extracts, this gel helps remove dead cells and is fragrance free, which is great for those who want to avoid any irritation. No wonder it is number 1! Here is a cleansing oil that is even popular overseas. The oil-based formula is great for removing waterproof makeup and helps nurture the skin using antioxidant-rich olive oil. It also uses vitamin-rich components that really bring out a healthy glow in your skin. Try it just once, and you’ll see why DHC Deep Cleansing Oil has gained a following worldwide. Yet another line of Japanese beauty products that offers a range of cleansers that help fight dark aging spots and brighten skin. The medicated Sekkisei line is very good for daily usage as it contains herbal extracts; This product is a drugstore staple in Japan. 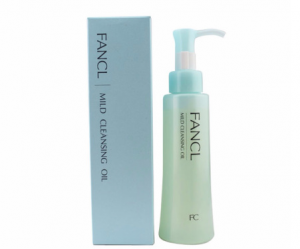 FANCL Cleansing is a Japanese makeup remover that helps take off even the most stubborn makeup. Simply by gently massaging it into the skin, the smooth oil-based formula removes makeup almost effortlessly. It’s a popular product that cleanses skin gently without stripping moisture, leaving the face feeling soft and clean. 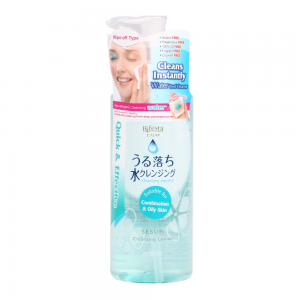 Because it helps take off your makeup without harsh scrubbing, this water-based Japanese makeup remover is perfect for oily skin. As well as cleansing, this gel has active ingredients that sink into the skin and help replenish it. This is a really good product for powerful yet gentle cleansing. This cleanser is produced by Shiseido. Great for all skin types, it penetrates into pores and clears out impurities. Perfect Whip leaves skin feeling soft and hydrated. Although it is an exceptional product that would deserve a luxury price-point, Perfect Whip won’t break the bank. Soy-based Japanese beauty products like this one take their cue directly from nature itself! Soy Milk has an important role in skincare as well as in overall health. Among their many health benefits, nutrients found in soybeans help to nurture the skin. This smooth soy milk blend cleanses the skin while removing makeup at the same time! The formula is not too thick so it’s great for a mild lathering cleanse. Using botanic cleansing components, this foam cleanser removes makeup, clears skin, prevents pimples, and gently exfoliates the skin. There are different fruit fragrances to choose from – a great all-in-one product. This is perfect if you’re on the go during the week, or even to take with you while traveling. It leaves the skin feeling refreshed and smooth. SK-II is a high end line of skin care products originating from Japan. These products use sake fermentation, which forms into an active ingredient called ‘pitera’ which helps rejuvenate skin and keeps it looking youthful. 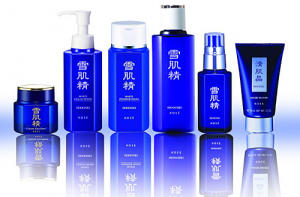 The Facial Treatment Essence is the most popular product in this line. It’s very lightweight and helps reduce wrinkles. Daily use of the Face Mask Shiro no LuLuLun after cleansing will help keep your skin moist and smooth all the time! 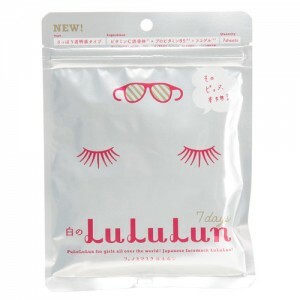 The LuLuLun range of sheet masks offers huge variety at an affordable cost. This stands out among other Japanese sheet masks due to delivering results at a great price. Try it, and you will notice your skin becoming healthier looking every day. It is never too early to start experimenting with skin care to improve the health of your skin. With the vast options out there, it’s important to look for products that are both gentle and effective. Because Japanese people place great importance on looking your best through skin care, finding products in many stores, including drug stores, is easy—but finding something that suits your skin may take time. Remember, get all your Japanese products using FROM JAPAN! Hopefully this list will help you crack the secret to Japanese skin care—and picking out options for your perfect skin care routine! Please note: Some skincare and cosmetic items cannot be shipped abroad, including products that contain flammable ingredients or are packaged in aerosol cans. Please refer to our list of prohibited items, and feel free to contact us if you have any questions about an item you’re considering purchasing. I think that we can learn so much from other countries and cultures. Especially, when it comes to taking care of our bodies. Thanks for the list of different skin care products from Japan. I’m going to try out FANCL cleansing. I like how it doesn’t strip away skin.